To offer a faster process of buying Bitcoin as well as to promote fair and accessible online payments for merchants are Cubit’s main goals with the recent launch of its new Bitcoin web application. Based in London and Berlin and initially catering to the said region before venturing globally, the startup is confident that its comprehensive service will benefit the Bitcoin community whenever, wherever they are. 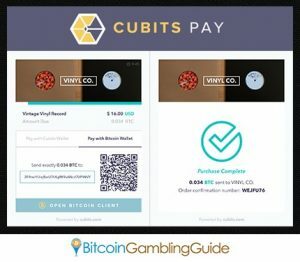 Spearheading its mission are its newest products—the Cubits Bitcoin wallet and the Cubits Pay merchant payment services—that were designed to provide mainstream users, including Bitcoin gambling enthusiasts and investors, with ease and convenience when they pay with Cubits. Through this product, the customers can purchase the digital currency within only a few minutes. 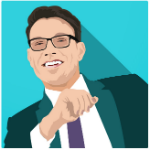 This puts the Cubits customers at the advantage over those buying in a Bitcoin exchange. In addition, this wallet serves as the medium through which bitcoins can be sold, sent, and received from various users from all over the world. 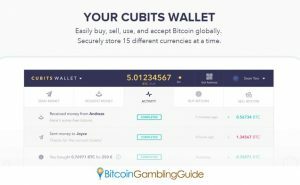 If instant transactions still fail to seal the deal, the Cubits wallet also supports bank transfers and online payment options in 17 different currencies. Thus, GBP, EUR, USD, TRY, PLN, and other select currencies may be used to experience the services offered by this wallet. Bitcoin purchases may be performed via any of the three instant payment providers: SOFORT Banking, OnlineBankTrandsfers (OBT), and OKPay. Cubits recognize the security of its customers. Thus, all of their Bitcoin funds are kept in a cold storage offline. This ensures protection from threats that persist through networks online. Likewise, all transactions through the wallet use the multi-signature technology, so problematic or questionable transactions are prevented. Operated by a team composed of 22 employees from various countries, Cubits emphasized its role in widening the coverage of its services beyond Europe. Through Cubits Pay, the payments of global customers will be received and processed in a timely manner. Moreover, this will boast transaction fees that are lower than those imposed via credit cards and other online payment options. Cubits Pay is developed to fully benefit the merchants. This explains the risk-less procedure of accepting Bitcoin payments, together with the free conversion of the digital currency to any of the supported fiat money. In addition, merchants will receive free customer support and tailored solution while making use of the ready-made plug-ins that support a variety of shopping cart systems.